Milo McIver: The name carries its own weight. These hallowed grounds are the location of the Northwest’s biggest tournament of the year, the Beaver State Fling. 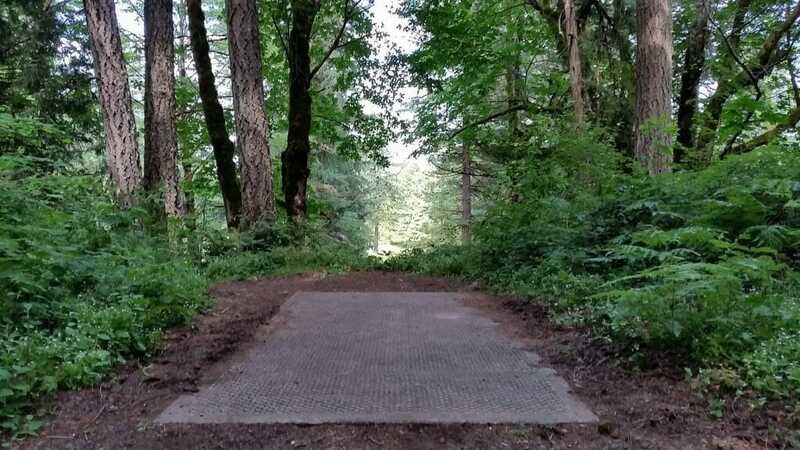 Tucked away near the banks of the Clackamas River in the outskirts of small-town Estacada, this Oregonian paradise becomes the center of the disc golf world one week per year. For those of us lucky enough to play the park’s Riverbend Disc Golf Courses when we choose, it is a treat that never gets old. For the hundreds of pilgrims who venture here every year, it is an opportunity to play one of the best venues in the world, on one of the biggest stages. To win at the Fling is to etch your name into the history books of our sport. The tournament is always close. In fact, the last time an Open player won by more than two shots was in 2009, when the “Champ,” Ken Climo, finished with a seven-stroke margin over Avery Jenkins. Since becoming a Professional Disc Golf Association National Tour event in 2004, the BSF has seen three playoffs and four years decided by only one stroke. This is the place everyone wants to win, and the quality of the courses makes it anyone’s game. Those venues require players to be dynamic, aggressive, and intelligent. Almost every hole can be birdied, and for the top players in the game the Par 4s are “must get” scoring opportunities. Yet in order to card those birdies, players must be accurate and long off the tee. Knowing when you can attack the course is crucial to shooting low, and avoiding the hazards is essential to prevent big numbers on the scorecard. Whether you are a player or a fan, the Fling is a must-see experience. The courses are impeccable, the players are tremendous, and the tournament staff is the best in the business. If you have a disc golf bucket list, coming to Milo should be close to the top. The East course is an 8,696-foot masterpiece. Winding through wide, fir-lined fairways, players are challenged to execute every shot in their bag. Few courses have as many demanding lines as the East course in the BSF layout, and even fewer courses have as many famous holes. This course features tiny island greens, enormous fairway directional changes, and many protected greens. Hole 9, the “Genius Hole,” is one of the course’s most well-known. Teeing from a hillside secluded in the forest, players will have to execute a long tunnel shot through massive fir trees. Good shots are rewarded with down hill approach shots to a basket precariously close to the out-of-bounds road. Bad shots are punished with tough lies and an increased risk of throwing out of bounds. Perhaps the most famous of the holes on the East side, though, is the 14th, known as the “Monster Hole,” a winding 1,196’ behemoth. Getting birdie on this hole requires four nearly perfect shots. Err at any point early, and players will find themselves scrambling just to save par. And this is no “hyzer bomb” long hole, either. Many players will throw rollers from the tee, hyzer second shots, and either rollers or long anhyzers in an attempt to secure a putt on the protected green. At 8,546 feet, The West course is only slightly shorter than its big brother. Longer throwers have a significant advantage on the open fairways through the middle section of the course, and players with higher accuracy can score on the many technical holes scattered throughout. The short holes at the beginning are opportunities for easy birdies, but a single misstep results in bogeys, or worse. Fans will enjoy watching the action from the parking lot adjacent to Hole 9 on the West course. From this vantage point, spectators can easily view the best disc golfers in the world throwing herculean drives on some of Milo’s longest holes. One of the first is Hole 6, a massive 850-foot Par 4. Tee shots are most commonly huge hyzer shots as far as possible down the left side of the fairway in an attempt to make the second shot a little easier. Seeing how far the top players can get is an awe-inspiring sight. Hole 9, a medium-length Par 4, is a standout that comes in at 689 feet. The fairway begins very wide, but bottlenecks tightly and requires an accurate and high second shot. Players will be trying to throw as far as possible on the first shot, and drives over 500’ are not uncommon. The PDGA’s best tackle Milo tomorrow through Sunday. 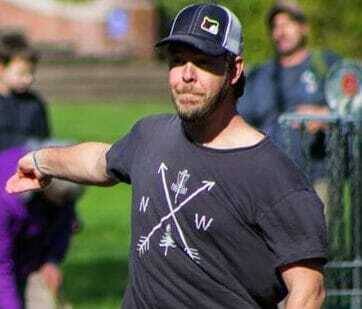 Cory Higdon is a mediocre disc golfer and fledgling attorney in Portland, Oregon. Comments on "The Local Route: Milo McIver State Park"